Episode 8: Feel the Power….of MICROTRANSACTIONS! This week Kathy’s daughter Roxanne joins the podcast, which is great because nothing spices up a show like talk of Pokemon and pedometers! Also, six out of six gaming producers agree, cyberspace is alive with the sound of microtransactions. Ka-CHING! Fact or Fiction? Can you pick out the confirmed fact from the tall tales? This week’s host challenge is an all Ilum-themed brainteaser. 10/1 Friday Update: “Designing the Advanced Classes System,” a developer blog by Principal Lead System Designer Greg Zoeller. Are you a Sawbones or more of a Dirty Fighting type? What will that Emergency Medpack actually DO? Read full article here. New database site for all things TOR, R2-Db.com. Visit the site here. Ask A Jedi interviewed founder Aaron Cox here. GDC (Game Developers Conference) Online: Zam.com interviewed BioWare’s Greg Walton and ZeniMax Online Studios’ Matt Firor about trends in online gaming. 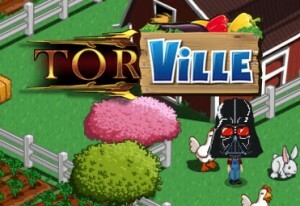 Expect more Farmville! Part 1 of interview here, part 2 here. GDC Online: Damion Schubert, Principal Lead Systems Designer SWTOR, gave talk, “How Online Gaming Has Adopted the Grind.” Expect cleverly hidden grind! Damion’s presentation slides here. Darth Hater coverage here. Ask A Jedi coverage here. GDC Online: Panel, “Strategies for Successfully Running an MMO from Launch and Beyond” with BioWare’s Rich Vogel, Turbine’s Jeffrey Steefel, EA Mythic’s Jeff Hickman, Sony Online Entertainment’s Lorin Jameson, CCP’s Nathan Richardson, and Nexon’s Min Kim. Expect more – gasp! – micro-transactions. Ask A Jedi coverage here. Darth Hater coverage here. Gamespot coverage here. 10/8 Friday Update: Ilum. Jedi’s secret pilgrimage planet not-so-secret anymore. See Holonet entry and screenshots here. Watch short video here. New York Comic Con, Oct. 5-8. Blood of the Empire artist Dave Ross and inker Mark McKenna did book signing and participated in panel on Dark Horse video games and comics. Damion Schubert’s column, “Make Better Bosses” in Game Developer. Ask A Jedi summary here. Buy a digital copy of magazine here. Sith or Jedi? We find out which path we walk in real life with The Test of the Express Checkout Lane. Thank you to Ford for suggesting this week’s test. Take the full test here. Official forums Poll: Allow respec on Advanced Classes? See poll here. Official forums thread: Would you pay extra for auction house and guild chat app on your smart phone? Read thread here. CRR forums thread: PvP thoughts. Read thread here. Thanks to Lordhammer and Erolene for leaving us positive feedback on iTunes. Many thanks to our sponsor, Guild Launch, the place to go for all your guild website hosting needs. Check them out here.